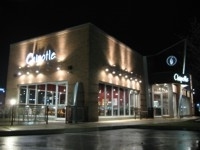 Our office assisted the landlord in all aspects of negotiating a triple-net (NNN) ground lease for new construction of a free-standing Chipotle Restaurant. Issues involved demolition and removal of the existing Perkins Restaurant located on this site. Our office assisted the seller in all aspects of Lease negotiations with the Denver-based Chipotle Restaurants and represented the landlord in subsequent transactions involving this parcel. 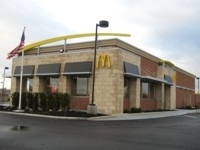 Our office assisted the landlord in all aspects of negotiating a triple-net (NNN) ground lease for new construction of a free-standing Ruby Tuesday’s Restaurant. Issues involved demolition and removal of the existing Perkins Restaurant located on this site. Our office assisted the seller in all aspects of Lease negotiations with Ruby Tuesday’s Restaurants and the City of Grove City development department concerning use of a neighboring parcel for adjacent parking and signage issues. Our office assisted the landlord in all aspects of negotiating a triple-net (NNN) for new of an in-line Penn Station Subs Restaurant. Our office assisted the seller in all aspects of landlord representation, including Lease negotiation and review. Earhart Petroleum operates a bulk plant in the City of Reynoldsburg, which has been in operation since the 1950’s. Earhart sought to construct a fence around the perimeter of its bulk plant for security and safety concerns, which required a zoning variance and approval by the City of Reynoldsburg. I represented Earhart during the application process and was able to obtain approval for this project. -Business Incorporation/Organization of Limited Liability Company. -Structured purchase using ownership entities to maintain anonymity. Our office was contacted to represent the owner at a hearing before the Franklin County, Ohio Board of Commissioners. The neighboring property owner sought a variance from setback requirements that would enable him to install a gasoline canopy and pumps. We presented our arguments and took the position that the property owner must show a hardship before the variance can be granted. Unable to show hardship, the neighboring property owner withdrew his variance request. We continue to represent this client in general business and corporate matters. Our office successfully applied for and obtained an Application for Real Estate Property Tax Exemption on this congregation’s main worship facility. Founder, The Church of What's Happening Now, Delaware, Ohio, 1970s.